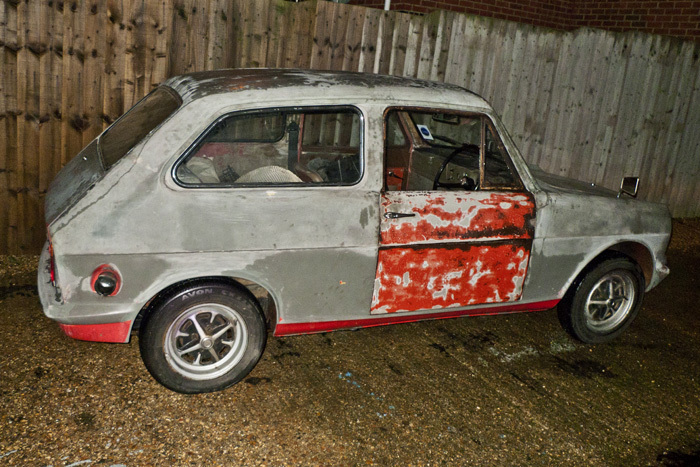 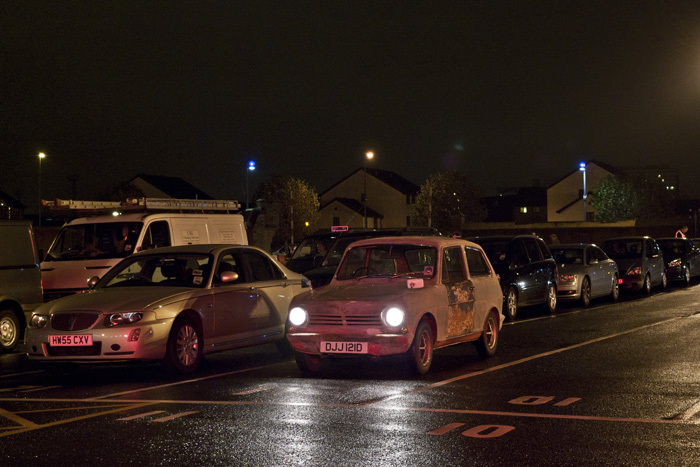 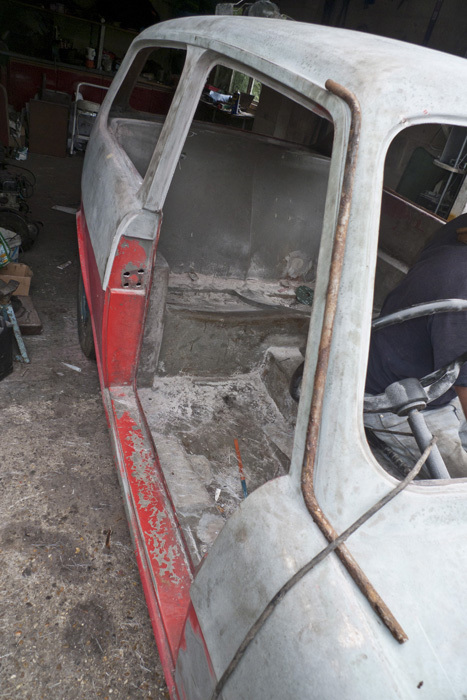 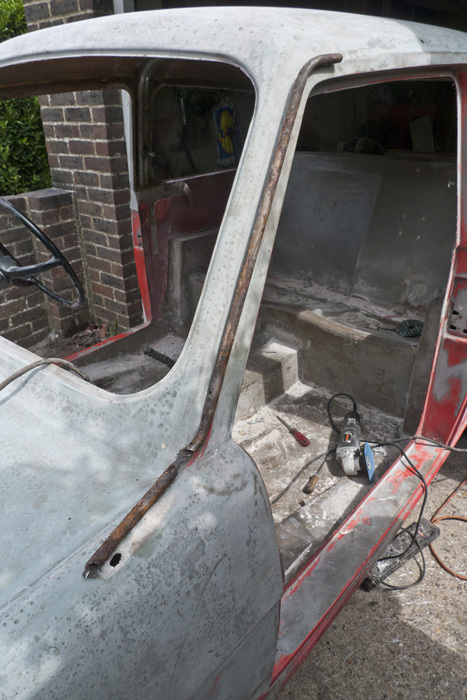 With the Rebel up and running we have been working towards fitting the Interior and getting the outside ready for paint. 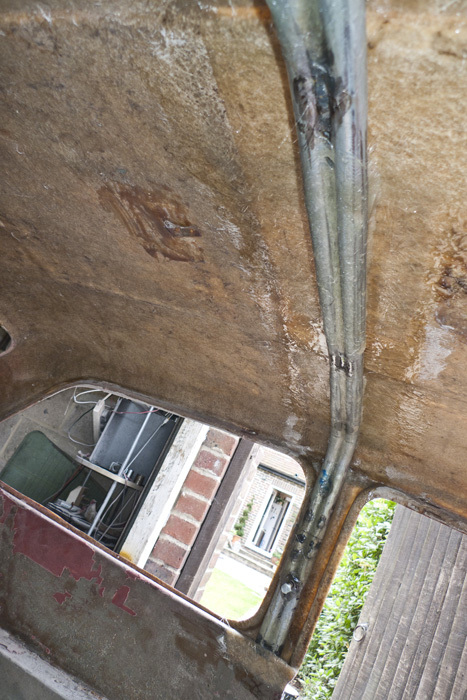 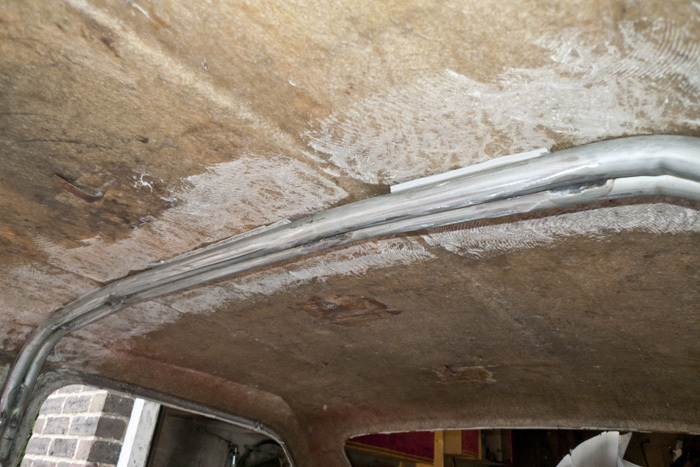 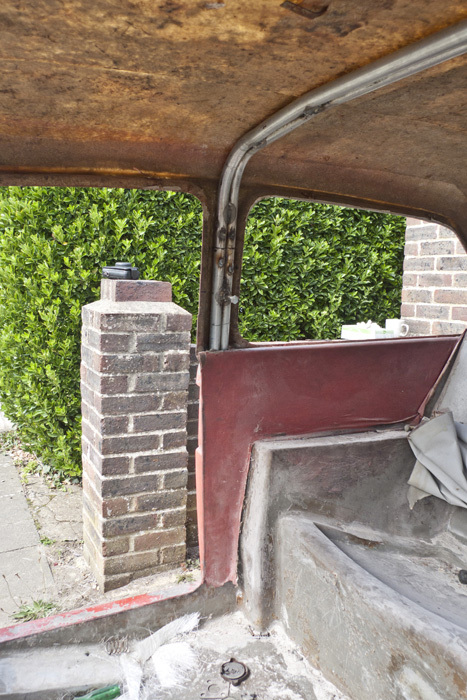 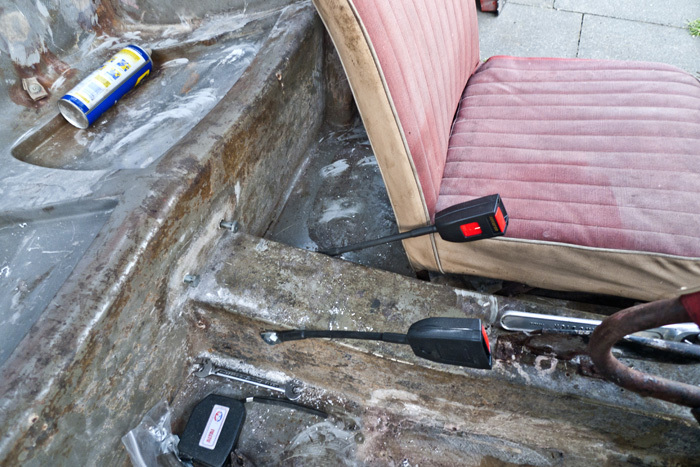 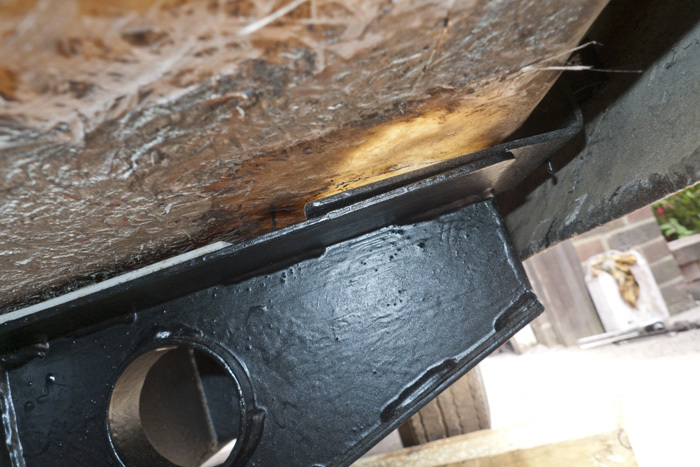 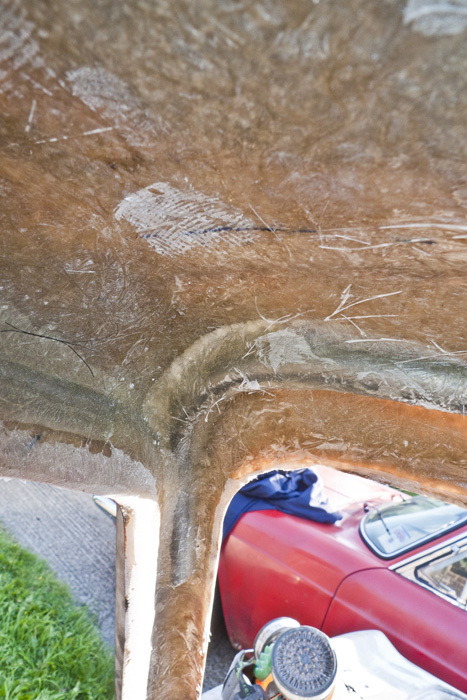 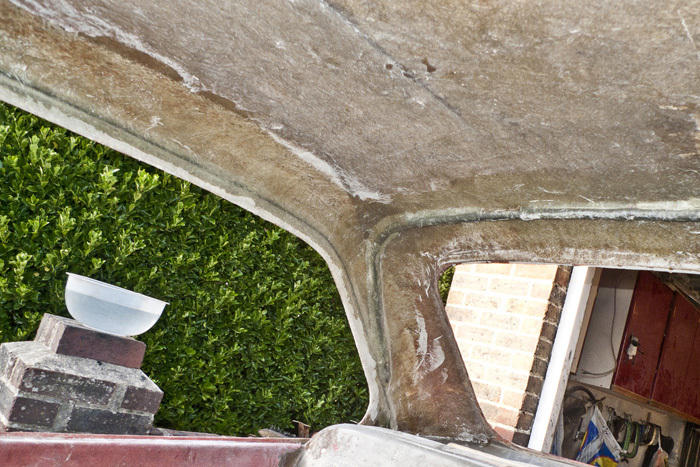 Before fitting a new headlining etc, we needed to make a fibreglass moulding to cover the new rollover bar. 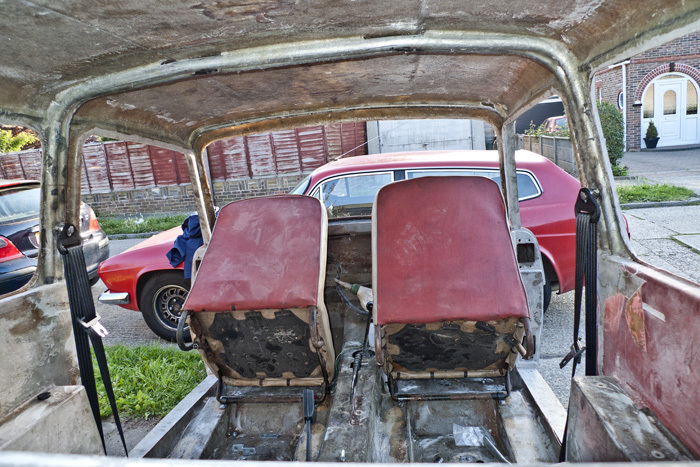 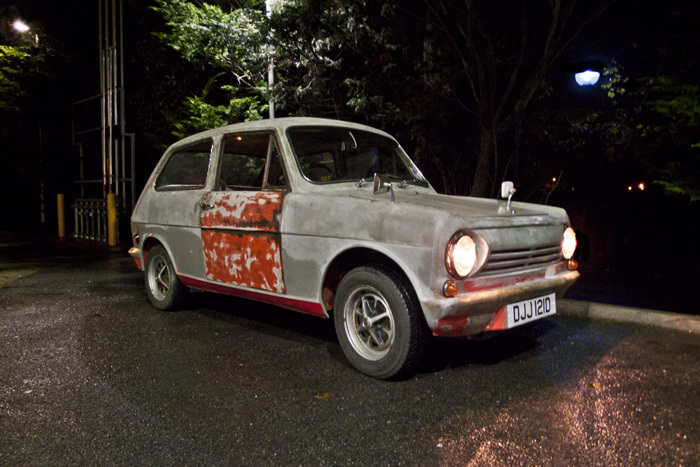 We decided it would be best to bring it over to the Isle of wight (its future Home,) as the workshop facilities were better than they were in my garage! 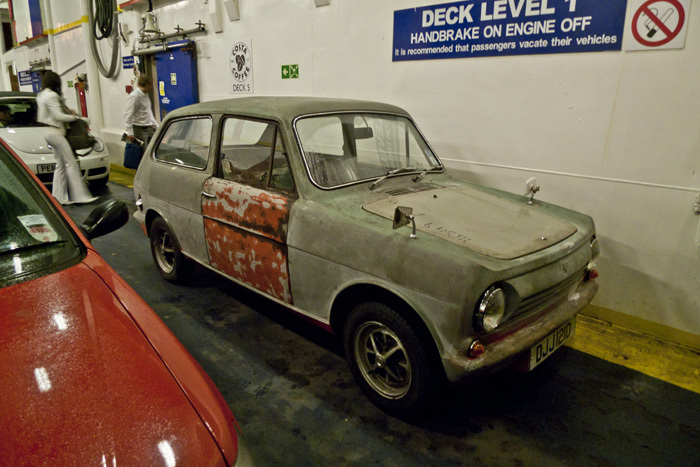 This meant I had to drive the relatively unproven Rebel from Littlehampton to Portsmouth to catch a ferry! 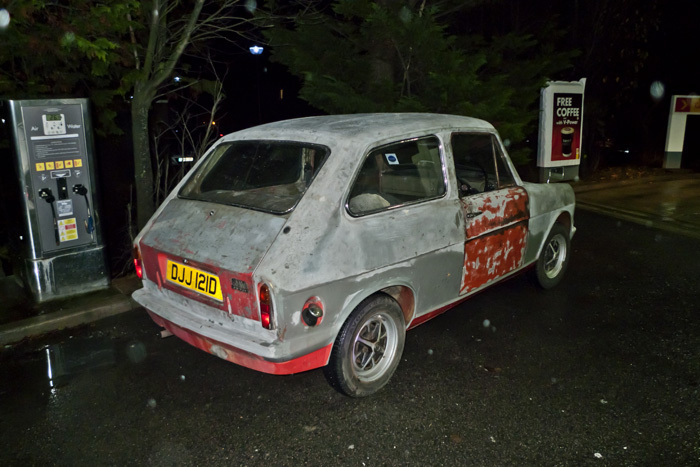 The journey to Portsmouth went well and I pulled over just off the A27 to check everything was ok, grabbing a few photos at the same time. 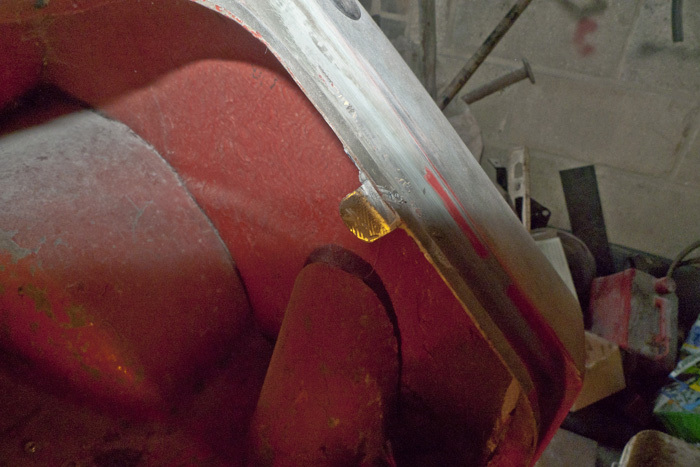 These photos show the glassing in of the new steel stiffeners into the body and the work to fit modern seatbelts. 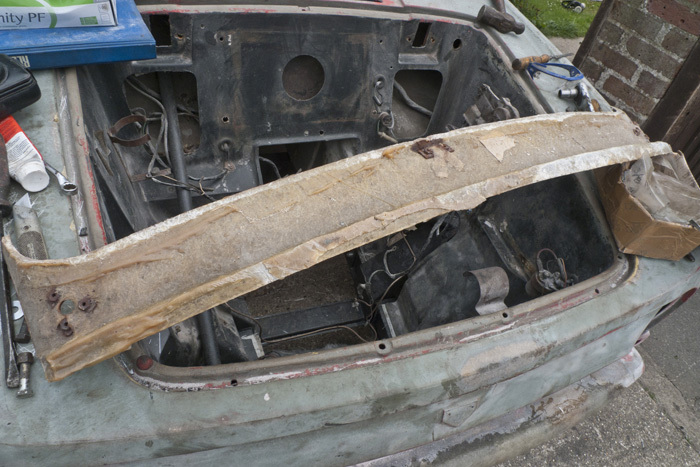 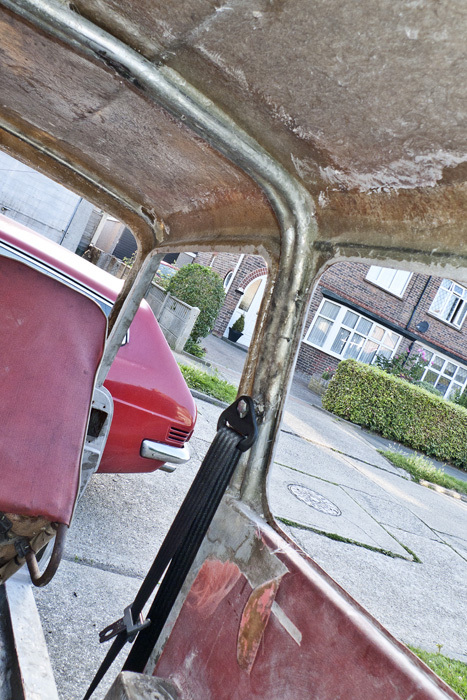 Rollbar padded out to remove the dent in the roof and prepped for fibreglass. 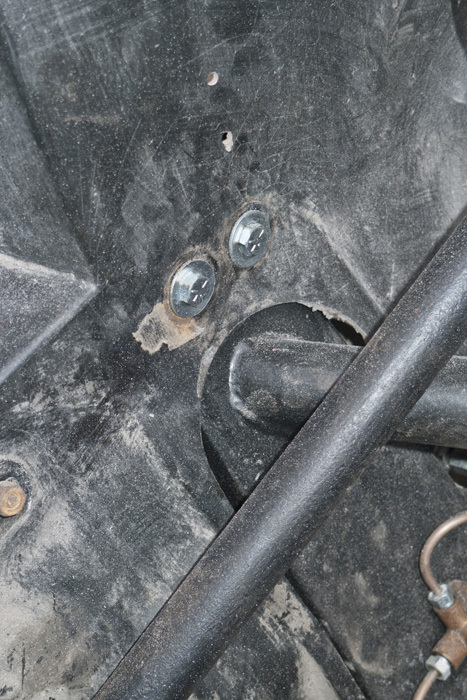 Nice new UNF bolts to hold the chassis down, none of that metric rubbish here. 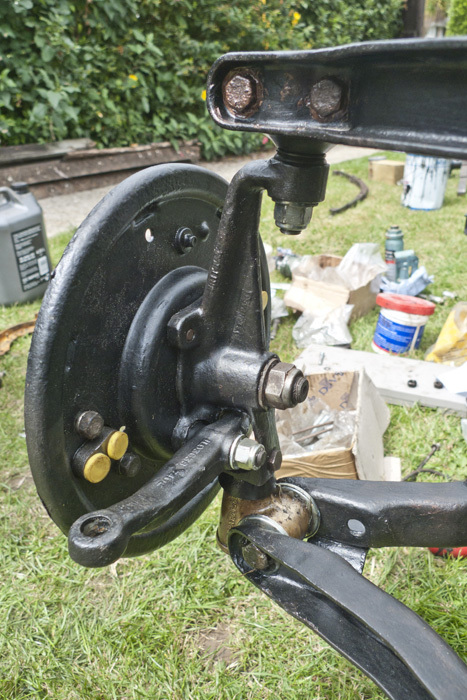 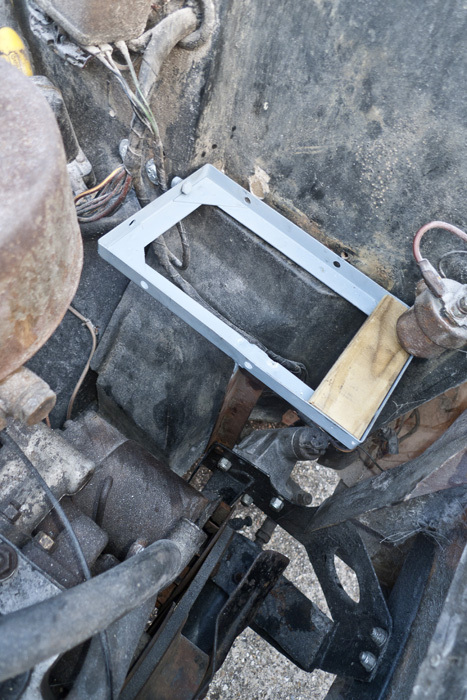 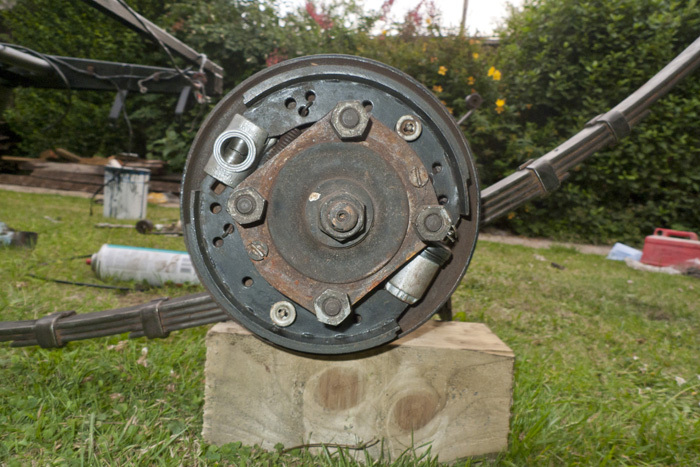 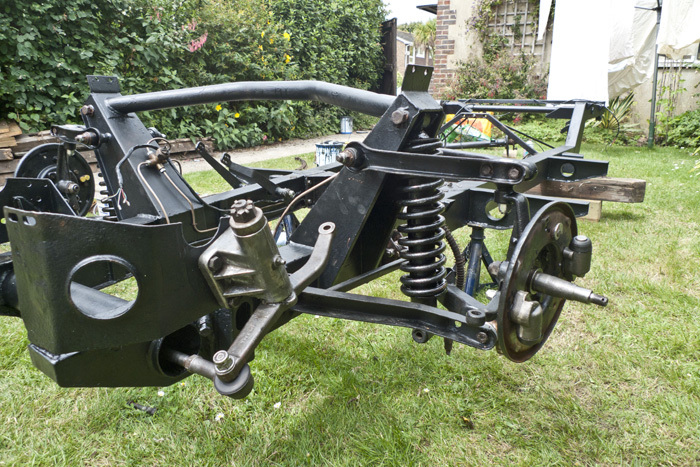 Steeing box refitted, still waiting for new track rods from Amsteer to complete the steering assembly. 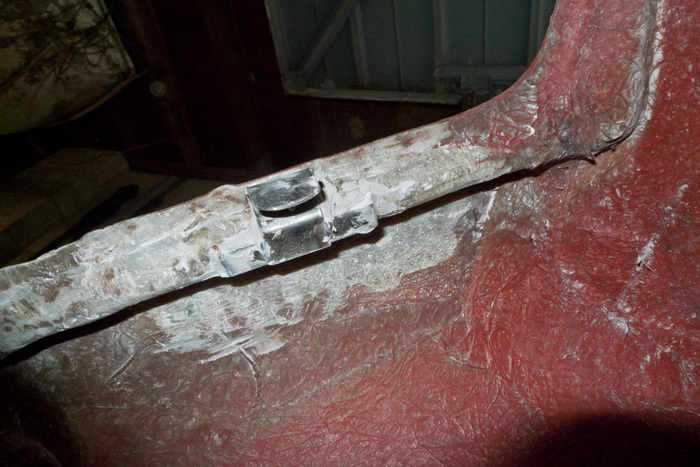 Outrigger Bolts, S bolt is where the seatbelt reel will be fitted once the carpet is in. 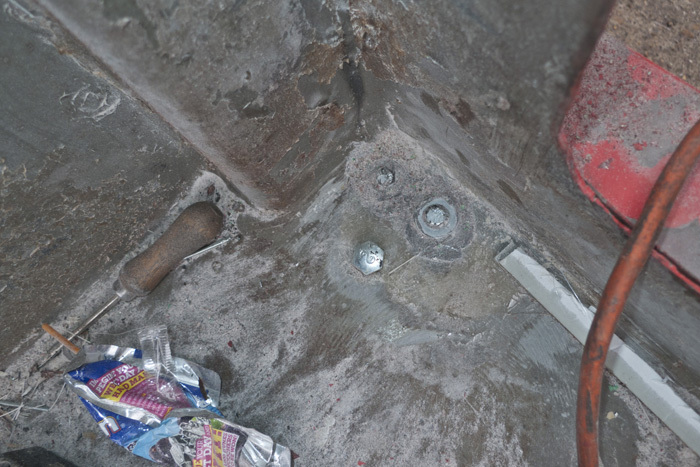 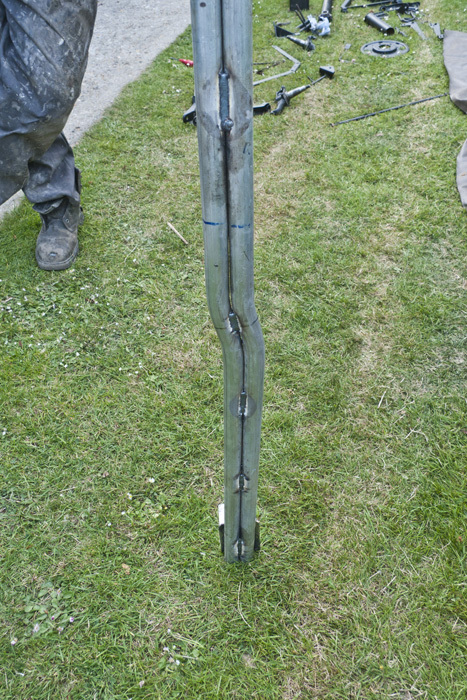 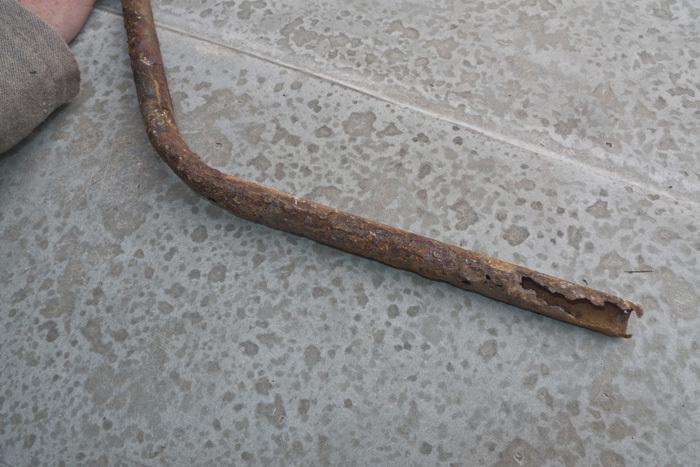 Continuing the replacement of the chassis steelwork we cut out the corroded metal in A pillars. 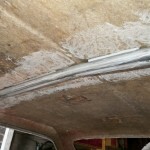 To do this we removed the inner roof moulding. 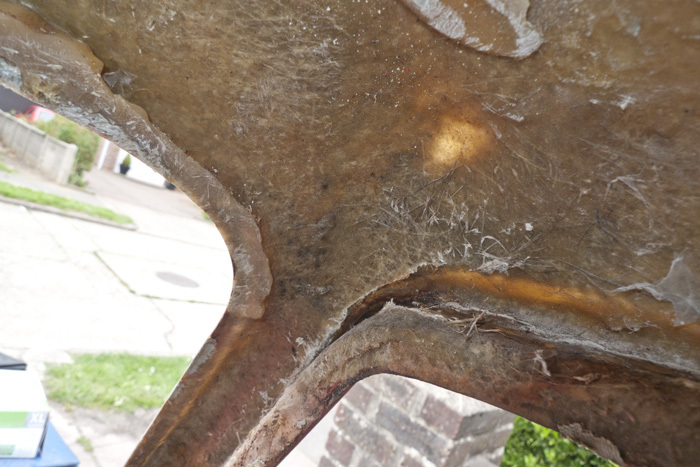 Extra view, this moulding will be replaced once we have glassed in new steel supports. 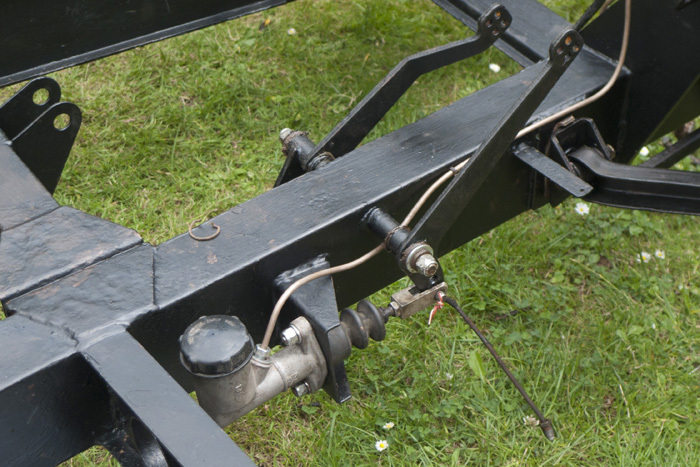 Drivers side Steelwork position shown on the outside of the car. 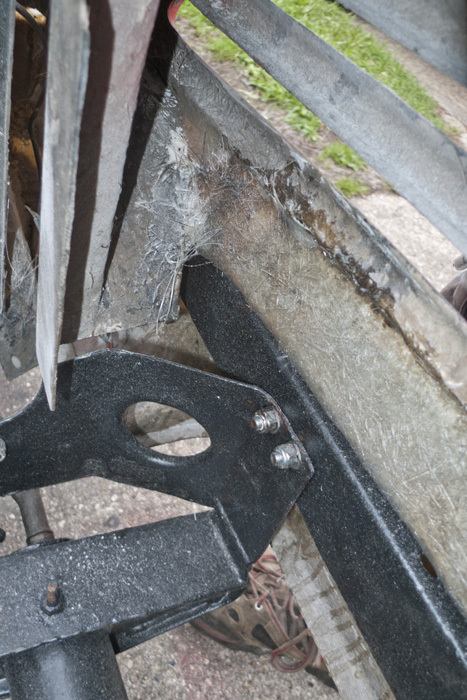 Outside comparison, note hole blown in the wing by the steel expanding. 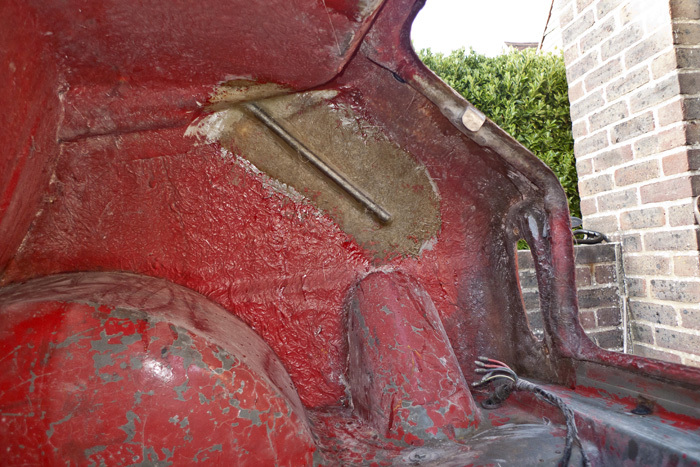 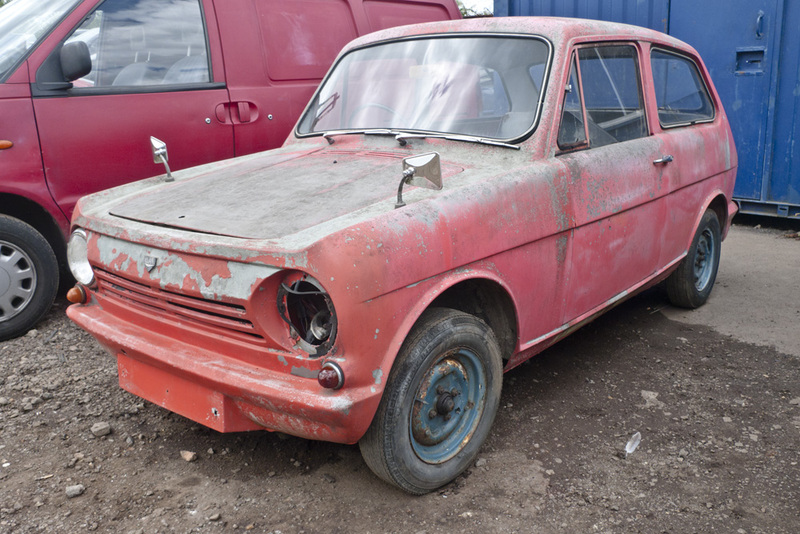 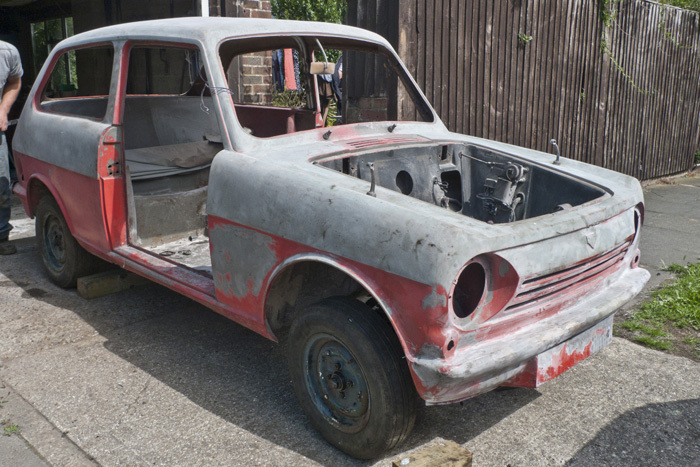 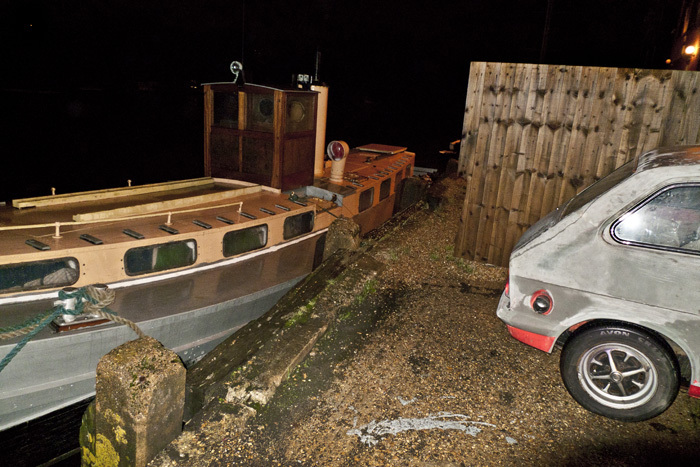 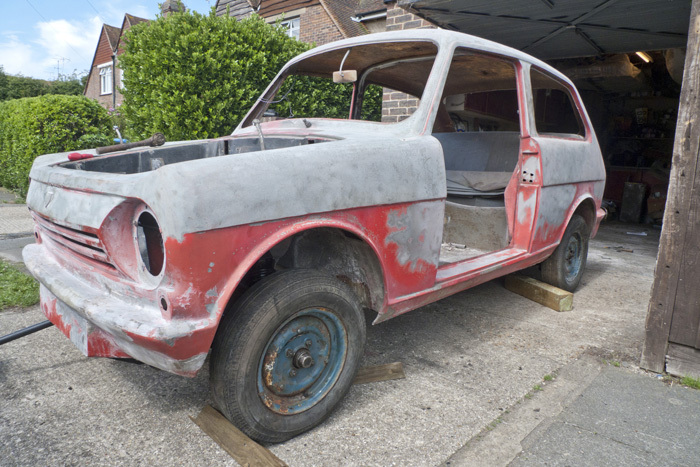 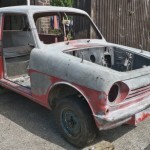 The rotten steel will be replaced soon and hopefully we can start looking at the engine and interior! 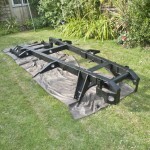 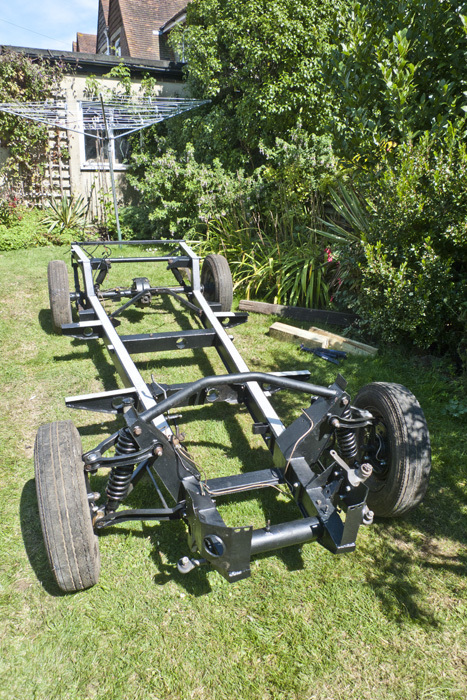 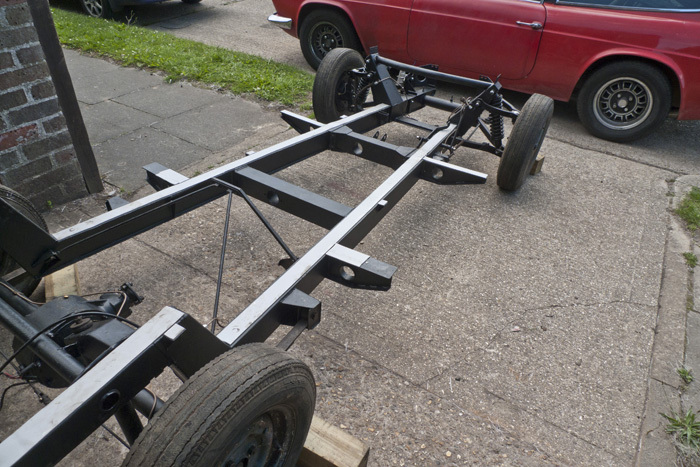 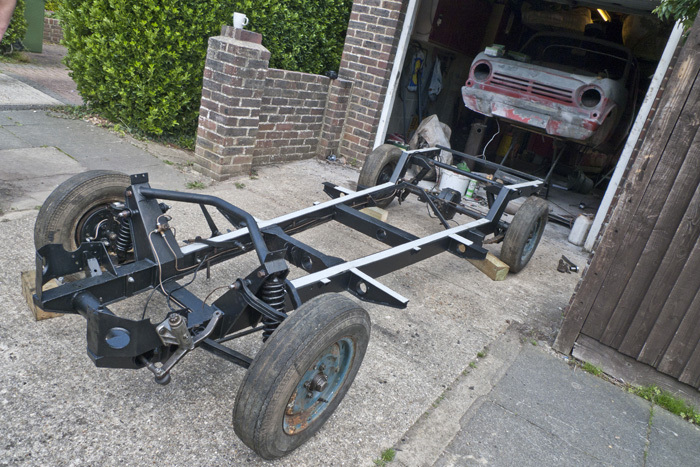 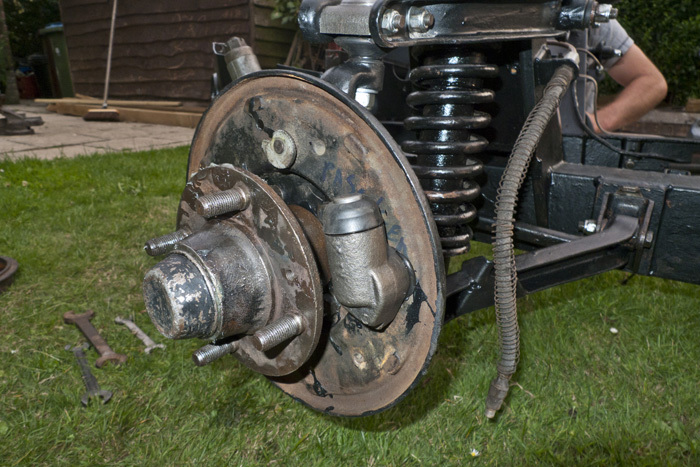 These photos show the process of building up the chassis with the suspension and braking components. 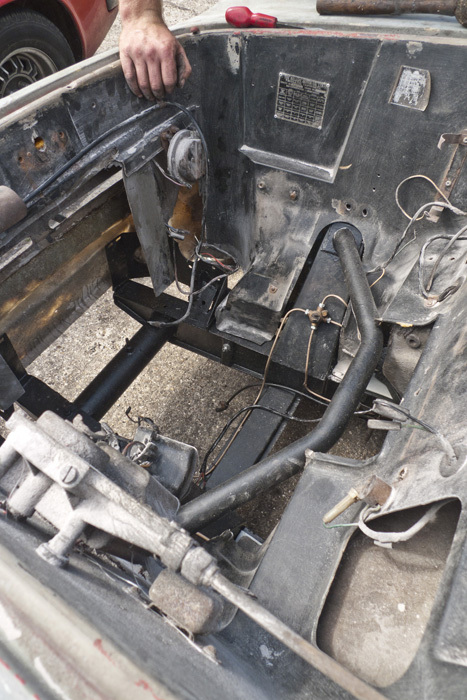 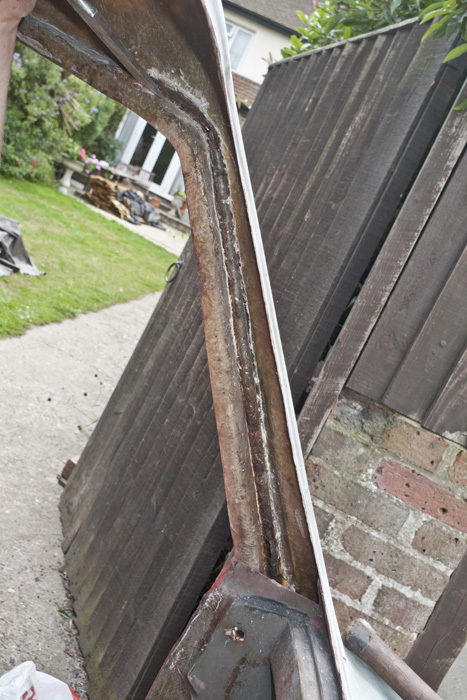 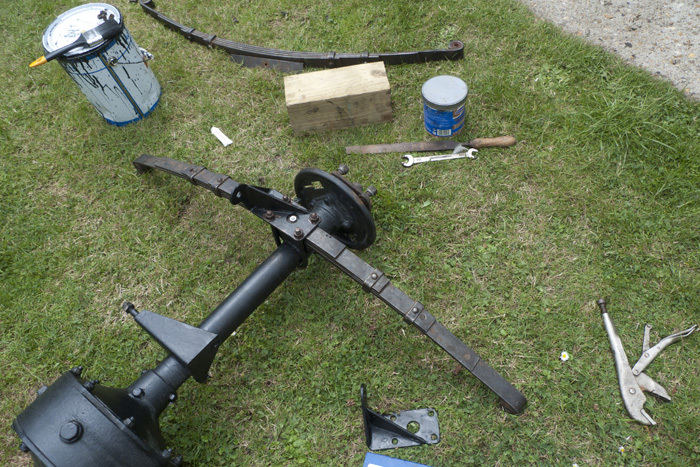 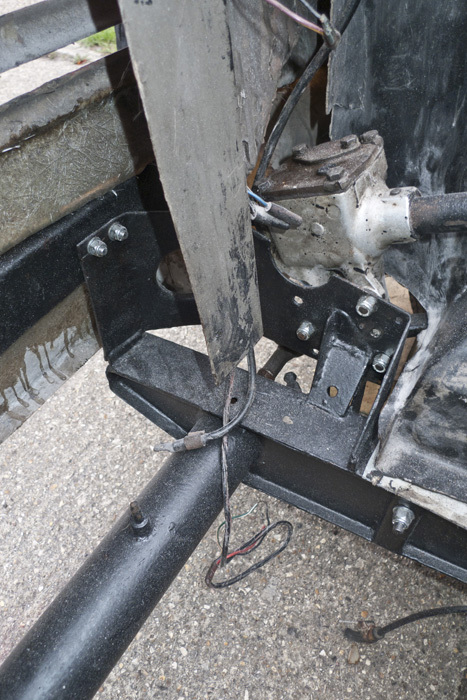 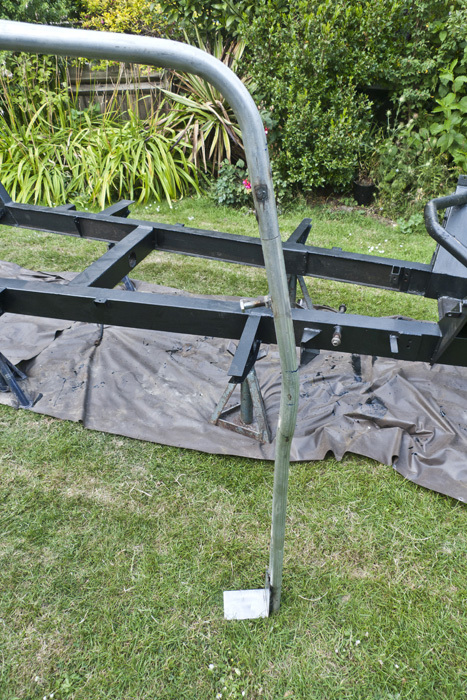 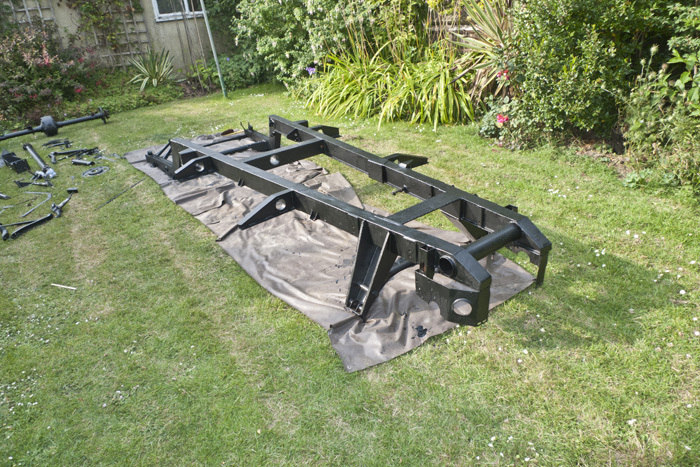 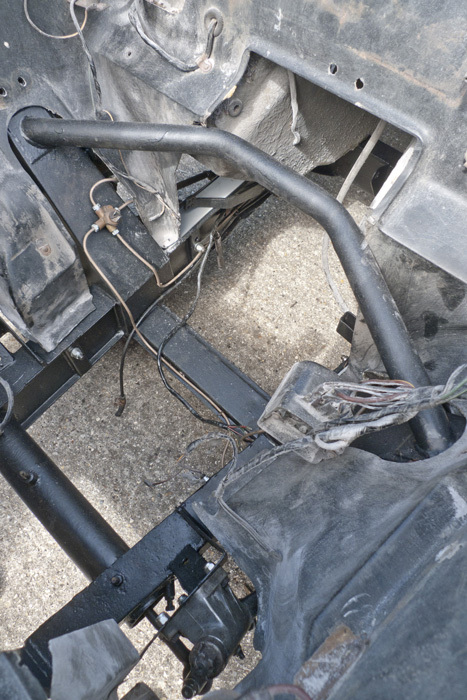 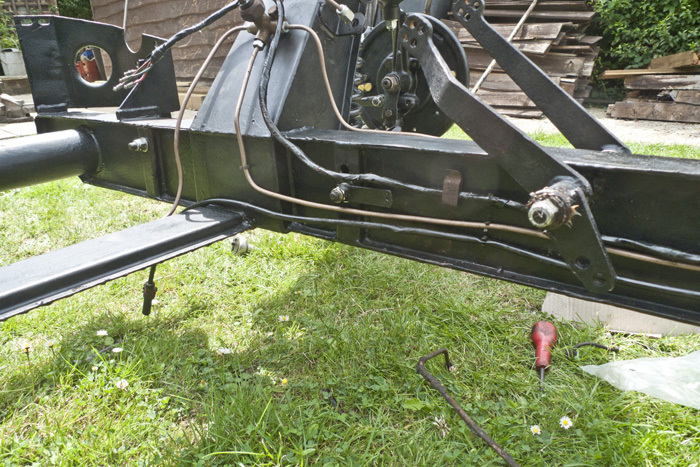 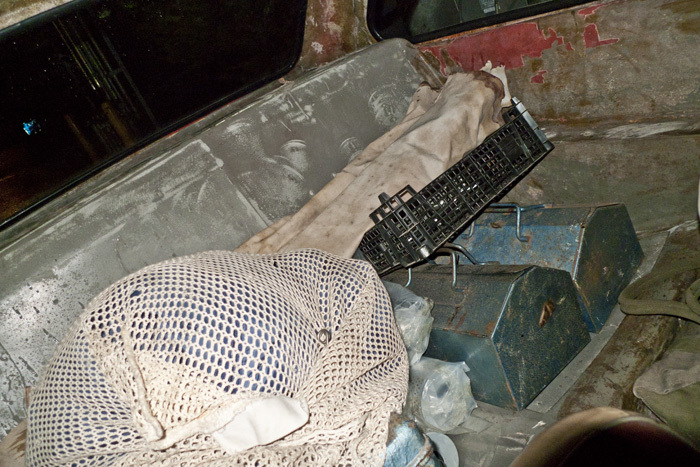 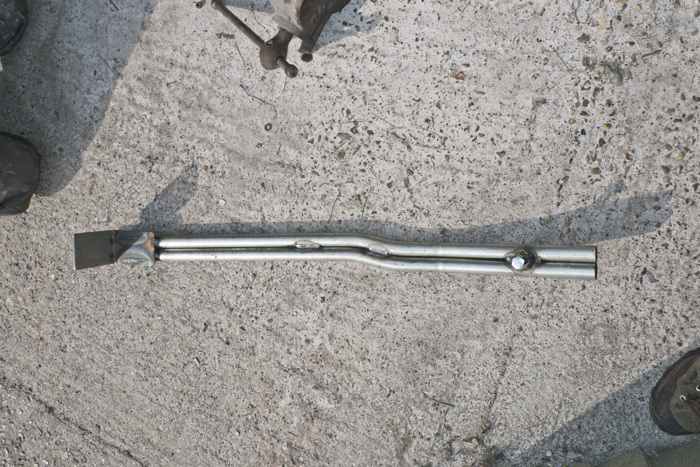 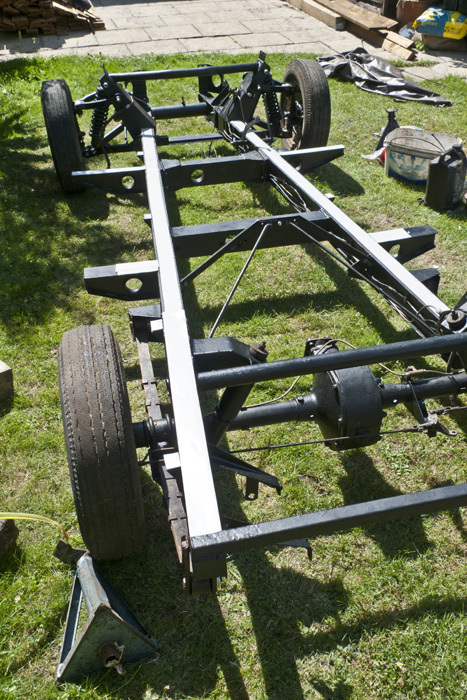 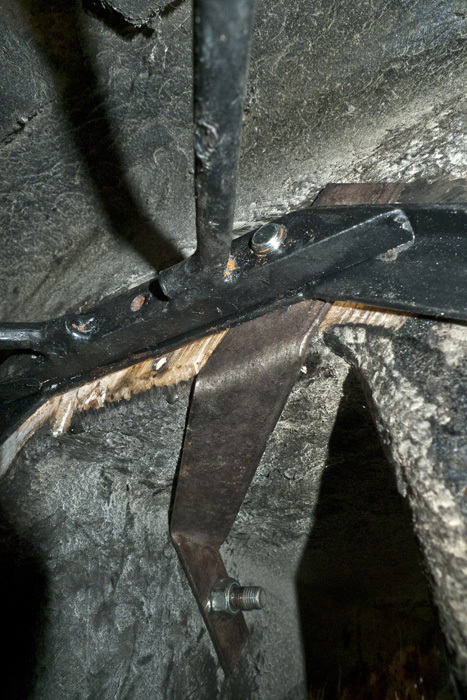 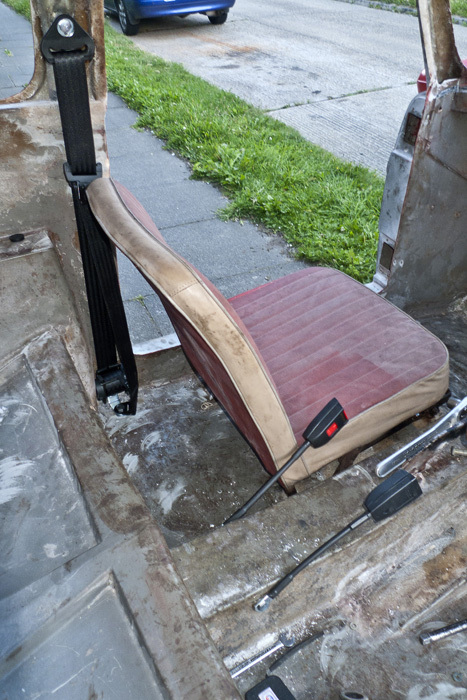 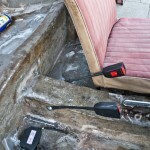 Finished lower roll bar section – note mount point for seatbelt. 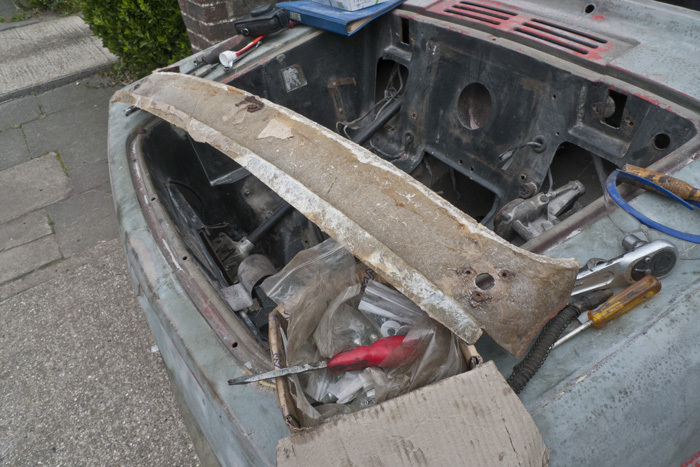 starting to look like part of a car again!